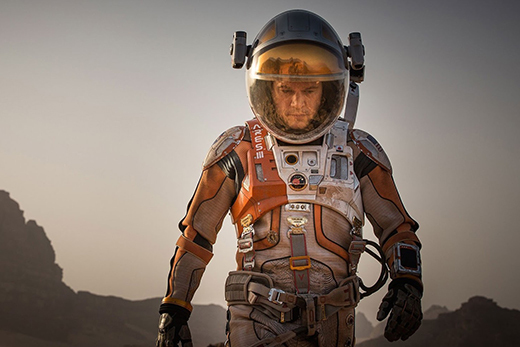 Matt Damon portrays an astronaut stranded on Mars in "The Martian." The movie opened October 2, on the heels of NASA's discovery of liquid water on the Red Planet. The latest entry in this long tradition is the sci-fi flick The Martian, released on October 2. Directed by Ridley Scott and based on Andy Weir’s self-published novel, it tells the story of an astronaut (played by Matt Damon) stranded on Mars. Both book and movie try to be as true to the science as possible – and, in fact, the science and the fiction around missions to Mars are rapidly converging.